This product(s) resides on a APICMO contract. 2-Bromo-5-chloropyrazine. It belongs to intermediates category. Contact us for more information. This product(s) resides on an APICMO contract. If you are viewing this page as a non-registered user, the price(s) displayed is List Price. To view your pricing, log in using your account number, or become a registered user by contacting one of our Customer Service teams. To place an order, contact APICMO Customer Service. WARNING: The information provided on this web site was developed in compliance with European Union (EU) regulations and is correct to the best of our knowledge, information and belief at the date of its publication. The information given is designed only as a guide for safe handling and use. It is not to be considered as either a warranty or quality specification. At APICMO, we produce 2-Bromo-5-chloropyrazine (912773-21-8) in bulk. All our chemicals have been certified by the cGMP manufacturing policies. They are strictly meant for development, chemical synthesis, and research. 2-Bromo-5-chloropyrazine is an intermediate, which falls under pyrazines. It is a biochemical used for proteomics research in the pharmaceutical industry. For additional information about the product, get in touch with our customer care. 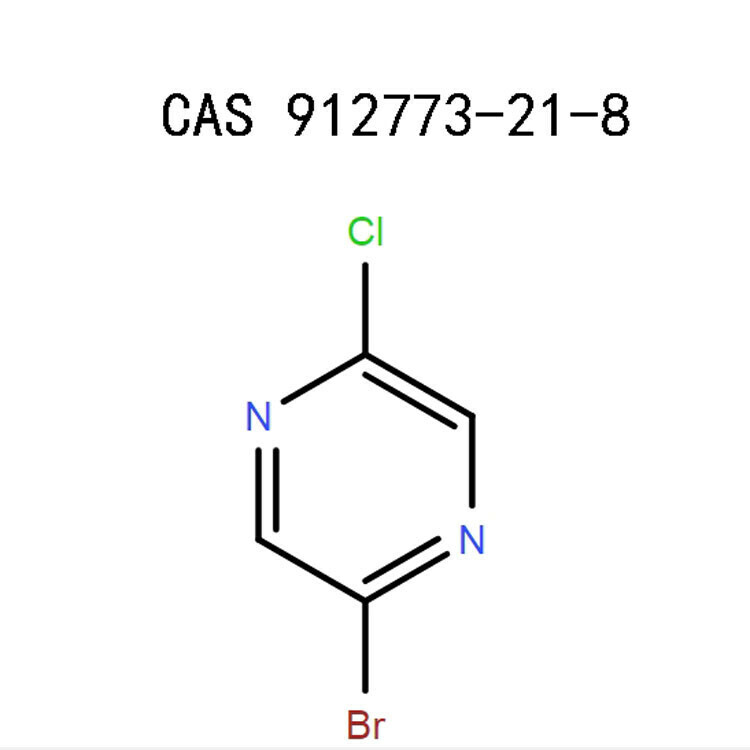 2-Bromo-5-chloropyrazine (912773-21-8) is a colorless product in liquid form. The product is sensitive to air, heat, and strong oxidants. Exposure to these elements will initiate decomposition. 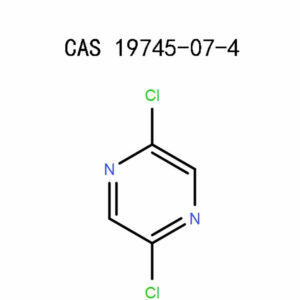 The Globally Harmonized System (GHS), which deals with the labelling of chemicals and their regulations, has listed 2-Bromo-5-chloropyrazine (912773-21-8) as a category 4 irritant. This product is 100% likely to be harmful in case of ingestion, inhalation, or direct skin contact.It may lead to acute toxicity in the digestive tract, respiratory system, and the dermal tissues. Moreover, 2-Bromo-5-chloropyrazine is irritating to the eyes and the skin. The reference hazard codes are H302, H312, H315, H319, H332, and H335. Only use this product if you have expert knowledge or working under the charge of a senior user with maximum experience when it comes to hazardous chemicals. Besides, limit the exposure time with 2-Bromo-5-chloropyrazine by taking very short time as you can. As a means of hazard preventions, take note of the P-codes P261, P264, P270, P271, and P280. Summarily, avoid inhaling any vapors, fumes, or gases as they may irritate your respiratory system. To make this possible, follow code P280, which advises that you wear protective shields. Also, P271 instructs users to ensure the working space has maximum ventilation. The P270 is the most common laboratory safety rule advising people against eating, drinking, or smoking while using any chemical product. A full-face mask will work, for as long as it covers the entire head. Use safety goggles, eye shields, or eyeglasses. This includes the skin, hands, and the feet. Use chemical-resistant gloves and rubber boots, which have been approved by the relevant authorities. The breathing apparatus should be resistant to dust and equipped with air filters for purifying the airborne contaminants. Ensure that it has been certified by the NIOSH or EU regulatory bodies for the American or European states, respectively. 2-Bromo-5-chloropyrazine should be used in a fume hood.As you handle the product, make sure to be close to an eye bath and a safety shower, just in case you accidentally gain contact with the chemical. Other equipment to put in place includes extinguishers, fans, air cleaning devices, and exhaust ventilation. After using 2-Bromo-5-chloropyrazine (912773-21-8), wash the hands. Remove your clothing and rinse them thoroughly.Collect the used product, gloves, and spillages and discard them in an airtight vessel, ready for disposal. Using the original glass packaging, you ought to ensure the vessel is well-sealed and airtight. The storage conditions should be cold, at freezing temperatures. Immediately after an occurrence, administer these response precautions for at least 10 to 15 minutes. Some of the methods might not be fully helpful, and so, there is need to visit a medical expert. Move the casualty to fresh air or outdoors. Maintain a comfortable breathing posture. Artificial respiration may be required if the person registers low pulse rate, shortness of breath, difficulties in breathing, or the related symptoms. Take off the contaminated cloth and shoes as soon as possible and bathe the place with adequate amounts of soap and water. Do the washing for not less than 15 minutes while checking for signs of corrosion, irritation, soreness, or redness. Use an emollient to cover the place. If any of the symptoms above become uncontrollable, seek medical counsel. Avoid closing the eyes or blinking them voluntarily. If you use contact lenses, take them off.Use large quantities of cold running water to flush them for about 15 minutes or more. As you continue rinsing, try to separate the upper from the lower eyelids using the fingers. Wash the mouth right away with enough water. Seek medical aid if you feel unwell. Upon combustion, 2-Bromo-5-chloropyrazine decomposes into dangerous gases and fumes. This calls for the need to be fully clothed in protective gears, especially the apparatus that cover the respiratory system. Put out the blazing fire using dry chemical powder, polymer foam, and CO2. Being in liquid state, the 2-Bromo-5-chloropyrazine is more likely to leak or spill and flow along the drains and water courses.As such, make sure to prevent any probabilities of having the chemical discharge into the environment. Use an inert absorbent like sand to pick up the product. Collect the spills in a tightly sealed container before disposing of as per the federal, state, or local regulations. 2-Bromo-5-chloropyrazine (912773-21-8) is incompatible with heat, sparks, flames, high temperatures, and oxidizing agents, strong acids, and concentrated bases. If subjected to these conditions, it will decompose into hydrogen bromide, hydrogen chloride, carbon monoxide, carbon dioxide, and nitrogen oxides. Dispose of 2-Bromo-5-chloropyrazine as special waste. Mix it with a flammable solvent and burn up in a chemical incinerator. If you don’t own this furnace, make arrangements with the local authorities and seek assistance from a licensed waste disposal company. Transporting 2-Bromo-5-chloropyrazine (912773-21-8)is safe,withoutany potential hazards regardless of the mode of transport used. The CAS numbers of 2-Bromo-5-chloropyrazine (912773-21-8) do not exceed the reporting levels as outlined by SARA Title III. When using it, follow the requirements, laws, and regulations that govern the use of chemicals in you location. The product is only for research and not for diagnostic or therapeutic purposes. At APICMO, our committed scientists have in-depth scientific knowledge in all areas that call for research.We pride in analytical skills such as material and life sciences, chemical analysis and synthesis, chromatography, drug discovery, and many others. Are you a researcher who is looking for bulk quantities of 2-Bromo-5-chloropyrazinefor research, development, pharmaceutical applications, or synthesis of other intermediates? APICMO has got your back. We not only offer the product in bulk but also in small portions depending on your needs. Register in our web portal, sign in, and view the quotation.Ordering 2-Bromo-5-chloropyrazine (912773-21-8) is just a click of a button. Our responsive customer care service is always online to help you complete the order. National Centre For Biotechnology Information, US. National Library Of Medicine, PubChem, 2-Bromo-5-chloropyrazine, Sections 1-10. Friedrich Konrad Beilstein, Reiner Luckenbach, Springer-Verlag, 1996 – Chemistry, Organic, Beilstein Handbook of Organic Chemistry: Fifth supplementary series covering the literature from 1960 through 1979, Volume 27, Part 18, page 260-262. Gordon Bruce Barlin, John Wiley & Sons, 15 Sep 2009, Science, The Pyrazines, page 600-602. APICMO is a pharmaceutical company developing the key intermediates of new drugs. It is focused on providing a complete system of synthetic and customized services for drug research and development agencies and pharmaceutical companies. © Copyright 2019 APICMO. All Right Reserved.